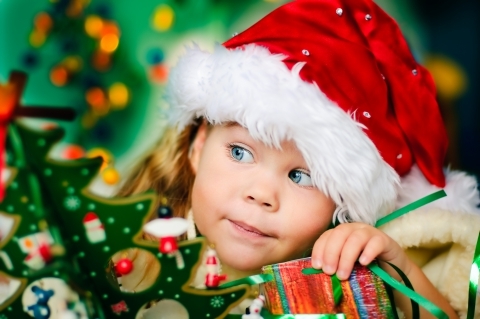 The holidays are finally here, and with them, your child’s ever-growing holiday wish list. #1. Explain that the holidays are about giving rather than receiving. One of the best ways to keep your kids from giving you an unrealistic holiday wish list is by teaching them about the true meaning of the season. Take them to the store and let them pick out toys to be donated to less fortunate children or volunteer as a family at a local homeless shelter to teach them all about the importance of giving. #2. When your child asks for pricey gifts, take a moment to teach them about earning money. If you simply tell your child that you can’t afford something, it just leaves them with a scarcity mentality. Instead, use the moment to teach your kids about the importance of earning money. Give them some chores that they can do to earn money, then help them set up a piggy bank so that they can save up to buy those high-priced gifts themselves. Learn more tips for managing your child’s holiday expectations by staying tuned for our child care expert’s next blog.